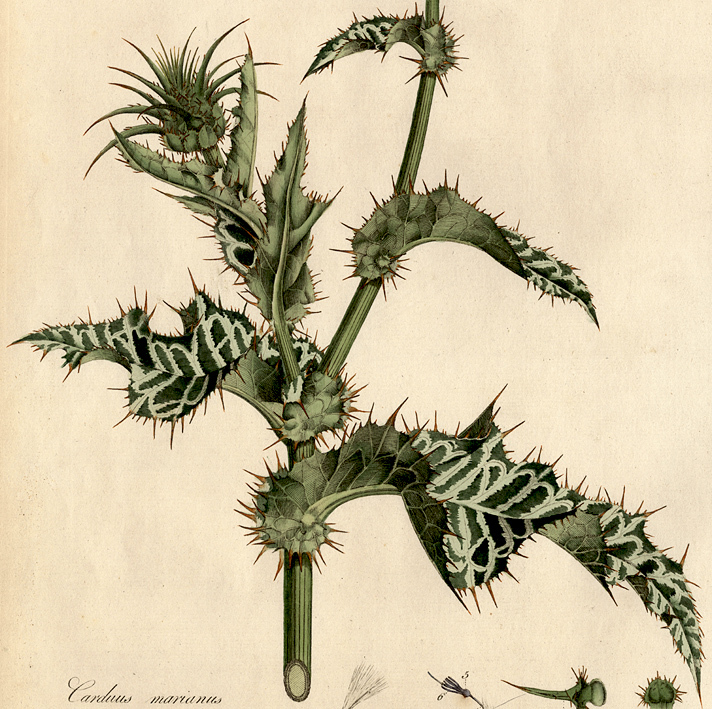 “Carduus Marianus” (aka. 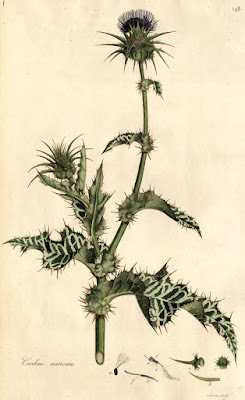 Milk Thistle/St Mary's Thistle/Blessed Thistle/Lady’s Thistle/Our Lady’s Thistle), published in the first edition (approximately 300 copies) of William Curtis’ (1746–99) “Flora Londinensis, or, Plates and descriptions of such plants as grow wild in the environs of London: with their places of growth, and times of flowering, their several names according to Linnæus and other authors: with a particular description of each plant in Latin and English : to which are added, their several uses in medicine, agriculture, rural economy and other arts”, 1777, Curtis, Vol. 3: t. 54. 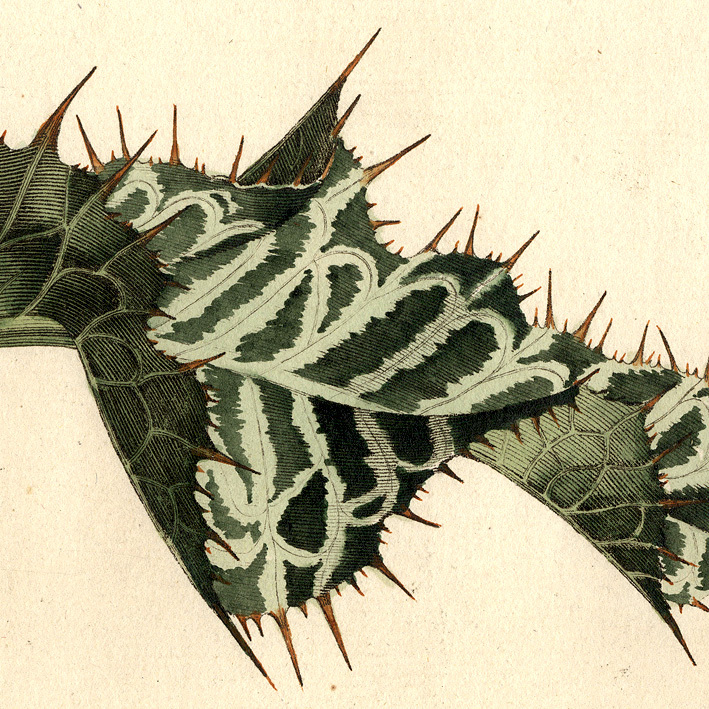 Condition: extremely rare (only 300 copies), crisp impression with superb hand-colouring and margins as published. The sheet is in excellent condition for its age with only minor signs of age toning at the edges. 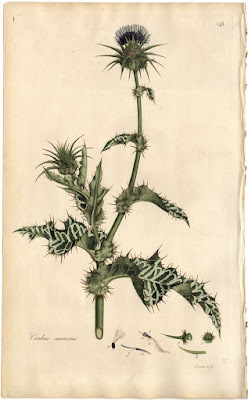 I am selling this extraordinary engraving of the utmost rarity (only 300 copies exist) hand-coloured by a true master of watercolour for first edtion (1777) of Curtis’ “Flora Londinensis” for a total cost of AU$189 (currently US$137.75/EUR121.82/GBP95.89 at the time of this listing) including postage and handling to anywhere in the world. If you are interested in purchasing this magnificent botanical engraving of the highest order of skill, please contact me (oz_jim@printsandprinciples.com) and I will send you a PayPal invoice to make the payment easy. This large and finely coloured engraving is from one of the most famous books on English weeds, William Curtis’ "Flora Londinensis.” As may be imagined when looking at this magnificent illustration, the publication was a lavish and expensive undertaking offered in a very limited edition of 300 copies. 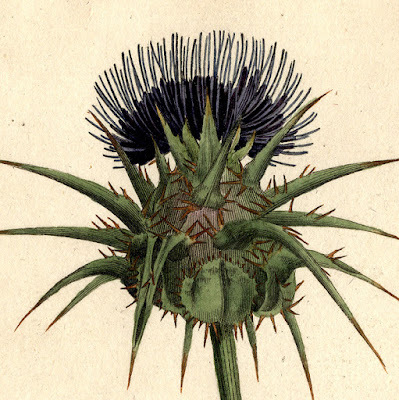 Sadly it was also a financial disaster as Curtis hadn't anticipated that the buying public at the time preferred books on beautiful flowers than weeds.